For many fans, the pre-season is the most exciting and interesting part of the campaign. After all, this is the time of year when every team has a fair shot at becoming the NBA champion. The story of the season is yet to be written and fans have the ability to dream about what may unfold during the campaign. It often doesn’t take too long for many fans to be brought down to the earth with a bump but as far as this time of year goes, it is an exciting time where anything could happen. Of course, for players and management teams, there is a need to work hard and ensure that the preparations are in place to get off to a brilliant start to the season. This is why the pre-season schedule, which has just been released, is going to be of interest to everyone in the NBA world. There is a total of 116 games in the pre-season schedule with the first game taking place on Saturday the 5th of October. As part of the desire to take the NBA around the world the first will be played in Istanbul in Turkey. Basketball, while not the most popular sport in Europe, is growing all the time and there is a huge level of support in a number of countries, including Turkey. The first game of the pre-season features the Oklahoma City Thunder who will take on Fenerbahce Ulker at their Sports Arena. 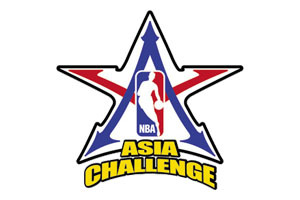 This is not only the first game of the pre-season; it is part of the NBA Global Games. 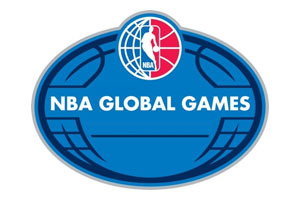 This sees eight teams from the NBA playing in eight games in eight different cities around the world. The Turkish stop-off is the curtain raiser but there will also be games in Beijing and Shanghai to capitalise on the Chinese interest in the NBA. There will also be games in Bilbao in Spain, in Manchester in England, in Manila in Philippines, in Rio de Janerio in Brazil and in Taipei. All of the international games will be shown on NBA TV and this channel will also be showing more than 25 games in total. NBA TV has not yet released their full schedule for the pre-season but this will be announced shortly. Basketball fans in England get the chance to see two NBA teams square off against each other at the Phones4u Arena on the 8th of October. The Oklahoma City Thunder make their way from Turkey to take on the Philadelphia 76ers. This will be the 76ers second game of the tour after they start their pre-season tour against the Bilbao Basket on the 6th of October. Two NBA teams taking each on other twice are the Houston Rockets and the Indiana Pacers. They will play in Manila on the 10th of October and then in Taipei on the 13th of October. Brazilian basketball fans get to see the Chicago Bull takes on the Washington Wizards on the 12th of October. The two final Global Games in this pre-season take place in China, and the same two teams are involved in both games. The Los Angeles Lakers take on the Golden State Warriors in Beijing on the 15th of October and then in Shanghai on the 18th of October. Keen NBA fans will know that these were the two teams involved when Kobe Bryant picked up a serious Achilles injury back in April. The NBA superstar claims to be setting an outstanding pace in his comeback from injury but the pre-season games are definitely far too soon for a player who is looking to return to the court in November or December. The season proper gets underway on Thursday the 29th of October and there will be two games on the night. The Miami Heat gets the season underway by welcoming the Chicago Bulls and then the latter game of the opening day sees the Staples Center in Los Angeles taking centre stage as the Clippers take on the Lakers. With the pre-season calendar announced it won’t be long until the 68th season of the NBA is up and running.